Experts Warn To Prepare For "Black Sky Days" When "All Hell Could Break Loose"
This past week, members of the Tennessee National Guard took part 'Tennessee Manuevers 2016', the largest earthquake response drill in the state's history with exercises simulating a 7.5 quake along the New Madrid fault line that could become responsible for 'black sky days' for large parts of America as well as 'all hell breaking loose' should the worst case scenario take place. 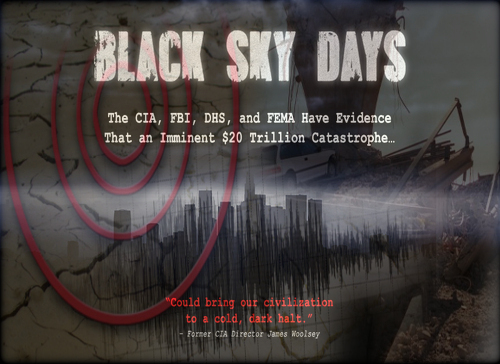 We're told such a 'black sky' event is beyond the capability of our current emergency response according to a National Infrastructure Advisory Council report on how vulnerable the US water supply would be to such a quake. While the San Andreas fault line in California and the Cascadia Subduction Zone along the West coast of America have been receiving the majority of attention from earthquake watchers recently, a massive quake along the New Madrid could be responsible for a series of cascading power outages that stretches much further than just the 7 states which are expected to be affected most should a large quake strike along the New Madrid. That's just the least of it. Between the Pacific Northwest rumbling and the New Madrid shaking, a series of devastating quakes from one coast to the other could lead to absolute havoc and as Susan Duclos recently proved to us on ANP, according to scientists, "a chain of events could literally bring hell on Earth". With the Pacific Northwest continuing to heat up, we're told in this new story from Alternative Daily that it's time for that area to be ready for a major quake which could lead to internet outages due to lines under the Pacific Ocean being severed, a massive tsunami and possible coast to coast electric outages. 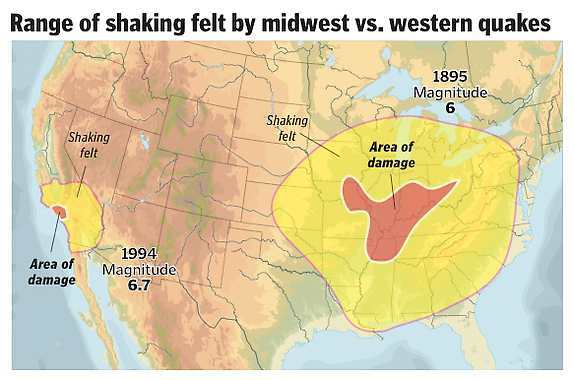 As we can see in the next graphic below, should such a devastating quake strike the New Madrid area or any other place for that matter, the water supplies in the areas hit would be absolutely hammered - rendered largely unusable in very short order. 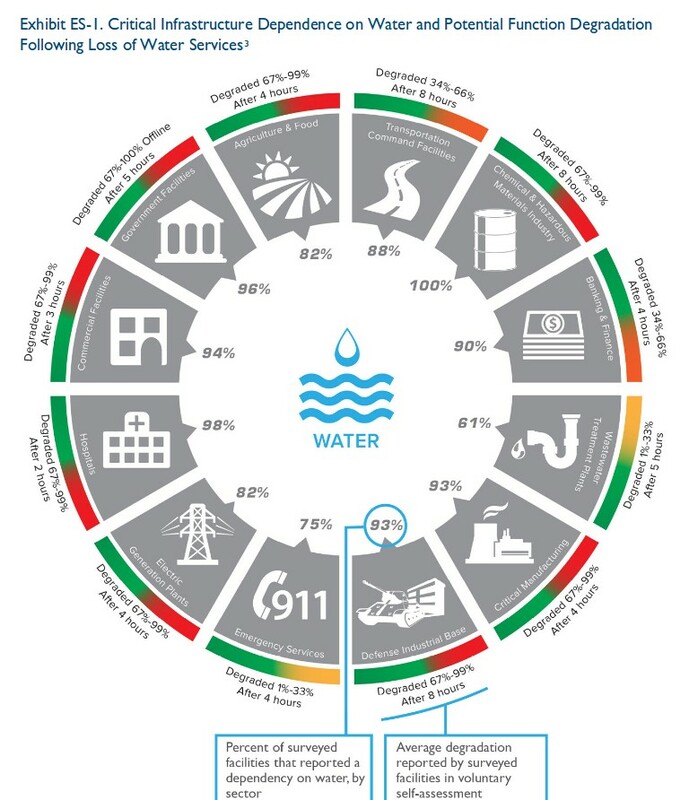 However, as we learn more below, the unusable water supply would soon become just part of a series of massive infrastructure problems that could become debilitating. We're told a massive quake in the region might just cause the Mississippi River to change its course again like it did back in 1811-12 after a series of three 7.0+ magnitude quakes struck the area and the states of Illinois, Indiana, Missouri, Arkansas, Kentucky, Tennessee and Mississippi are all in the immediate 'strike zone' should a mega-quake occur there again. Long overdue, the Army Corp of Engineers warns that a massive earthquake could cause them to "lose a good part of Western Kentucky, Arkansas or Southern Missouri." We're also told that there are a large number of chemical plants and power plants along the river and hence lies one of the major potential problems that could quickly lead to a worst case scenario with a New Madrid quake, "black sky days," if the entire electrical grid collapses. Back in March of 2016, the USGS told us that the risk of earthquakes in America had increased for the year, especially in middle-America including Oklahoma (due to fracking) as well as the New Madrid seismic zone. 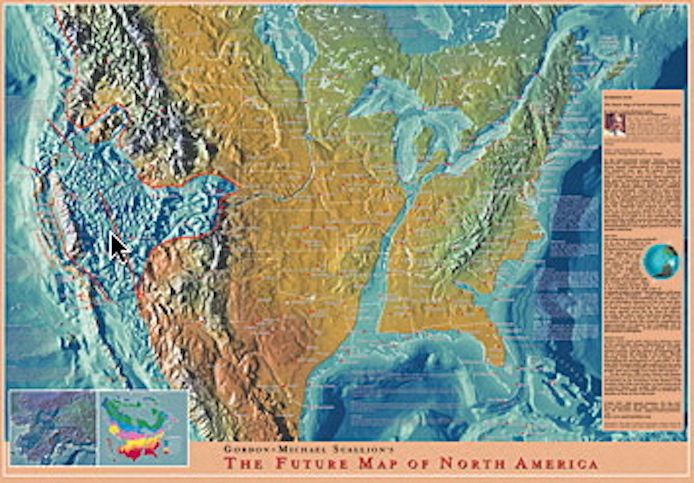 The new story from The Atlantic just published Thursday now getting a lot of attention told us that ONLY 600 million years ago, not far from St. Louis and Memphis, "our continent tried to rip in half." Thankfully it failed back then. Countless warnings have gone out that one day, it might try to split in half again. As the supercontinent Rodinia blasted apart, an ocean not unlike the Atlantic (only a half-billion years earlier) began to grow between the rifting continents. But in “Missouri,” a similar ocean rift stalled. Here the continent tried to divorce but it didn’t take. For hundreds of millions of years this failed rift (called the Reelfoot Rift) has languished as a jagged scar buried deep in the earth. As the ages have passed, it’s been covered far above at the surface by trilobites in shallow seas, later by coal swamps, and later still, by coastal dinosaurs. But it’s never fully healed. After eons of continental tango, only a few thousand years ago, this rift reawakened. A little over 200 years ago, several faults along this unthinkably ancient gash ruptured, triggering some of the largest earthquakes in American history. Luckily, almost no one lived near Southeast Missouri at the time. But today millions of people do. 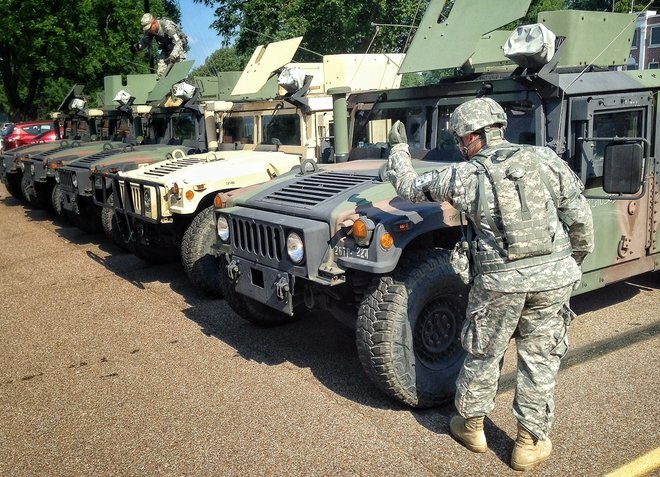 More than 50 Army and National Guard units training with law enforcement agencies, fire department, paramedics and other disaster response organizations will be taking part in these exercises according to the Tennessee Military Department and this story from WRCBTv. While we'll be the 1st to admit that on ANP, we often criticize govt corruption, war crimes and what we believe to be some 'insane' policies coming out of Washington DC, we also believe in spreading praise when praise is due, even towards government agencies. We must remember, afterall, that government is full of good men and women from sea to shining sea and overseas who give their lives to their jobs and their country - just because there are a whole bunch of bad apples on a tree or two doesn't mean the entire orchard is rotten. We strongly believe that the huge majority of men and women within the US military, law enforcement and other government agencies are in it for the right reasons and we thank those taking part in such drills - drills that also show that 'just' and 'fair' government really is the 'ultimate prepper'. We're told in this story from Al8Now that the training is designed to be as realistic as possible; they also warn that ALL Tennessee rescue crews need to be ready. "If you don't practice it, and you don't work it, you won't be ready when the time comes." The story from Emergency Management tells us that the National Guard is happy to have the opportunity to train to help those here in America rather than overseas. America's finest, doing what they do best, here on American soil. As we learn in the 1st video below, a massive number of military vehicles were recently seen in the New Madrid area preparing for these ongoing drills while in the 2nd video below, we learn more about what might be expected from the New Madrid including new reports of a potential massive quake from Tom Lupshu of Bunker Report. In the final video below from Gary Franchi and the Next News Network we learn why the state of California might see widespread 'dark sky days' over the summer of 2016 with the state of California now warning residents to prepare for up to 14 days without power this summer. What do they know that we don't know?